A Tibetan fairy tale, that is how I would describe the story of the two albums. With these albums, Cosey starts in a new Dupuis collection: Empreintes/Impressies (the Dutch edition appearing with a poor soft cover). 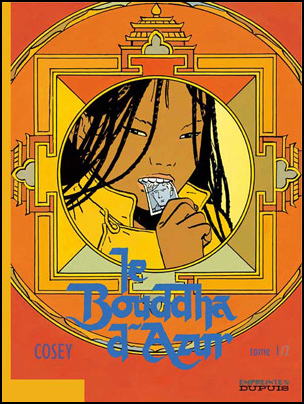 Cosey tells about the predestined love between an English boy/young man ‘Porridge’ and a Tibetan girl/woman, ‘Lhahl’. They accidentally meet in near a Tibetan monastery. They meet only very shortly, but still, the English boy (as a young man) returns to Tibet to find her back many years later. They meet, see each other very briefly, they loose each other again and then Lhahl shows up in the USA…. I don’t want to re-tell the story (read the books! )… so excuse me for this very short summary. What I want to explain is that, this time, Cosey does not elaborate the development of the two main characters and their relation. In fact, the main characters in the two albums are rather sketchy, superficially described – some have said they are caricatural. Cosey explains the (Tibetan) religious/spiritual tradition of reincarnation, life-time-companion (parèdre in french), predestination… but also the possibility that individuals can step out from a predestined life. This makes for a ‘too-perfect’ love story – a Tibetan fairy tale; an outsider in Cosey’s works. To all appearances, this album looks like a ‘traditional’ Cosey-album: people, mountains, Tibet. For the story, I have already said that it really is another kind of story as we are used to: less human – the characters are driven by a predestined companionship. A religious/spiritual tradition has determined the story line, has laid the tracks on which the main characters just have to run. By way of his story, Cosey explains this spiritual Tibetan tradition. But not only that: he shows may different shapes of Bouddha-statues; he shows different Tibetan tribes in their traditional clothings. In previous albums, Cosey’s documentation was excellent and very visible, but it never took the stage. 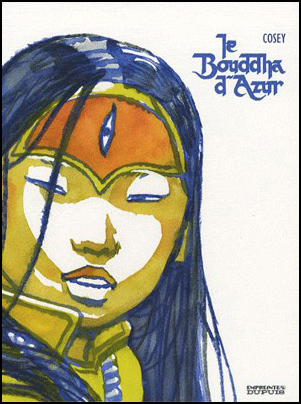 In ‘Le Bouddha d’Azur’, some sequences look like a documentary. The art of Cosey is just that this does not stop the fluidity of the story, but just adds to it. The ‘Bouddha-Tour around the world’ prepares the reader for the ‘Bouddha d’Azur’ and makes it understandable (in a purely visual way) what is so special about this Bouddha d’Azur. Never before, Cosey has gone so far in making a ‘Tibetan’ album. 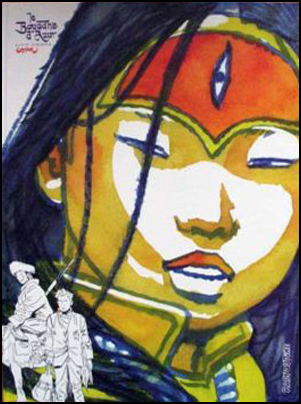 In fact, it can be said that Tibet is the main character of the story, with Porridge and Lhahl in supporting roles only. 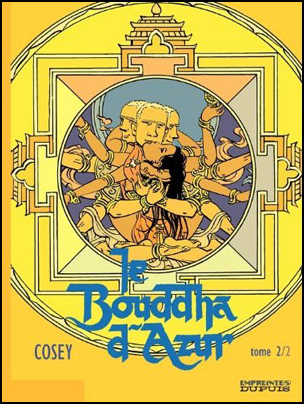 Cosey has said in an interview that he will never draw Tibet again. 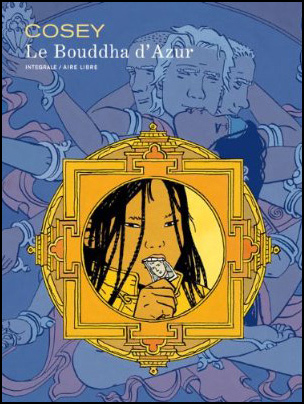 ‘Le Bouddha d’Azur’ is his great farewell to Tibet. 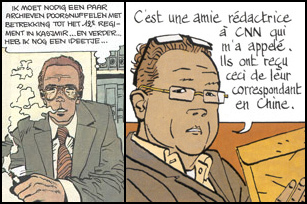 Cosey’s friend François Mattille stands model for Porridge’s publisher Timothy. In 1978 he was a model for art agent David Jones. After 28 years, still in good shape!